Compsol, leaders in Workmen’s Compensation (Injured on Duty) claims management, recently held their annual client services award presentation, a special event on the company’s calendar. 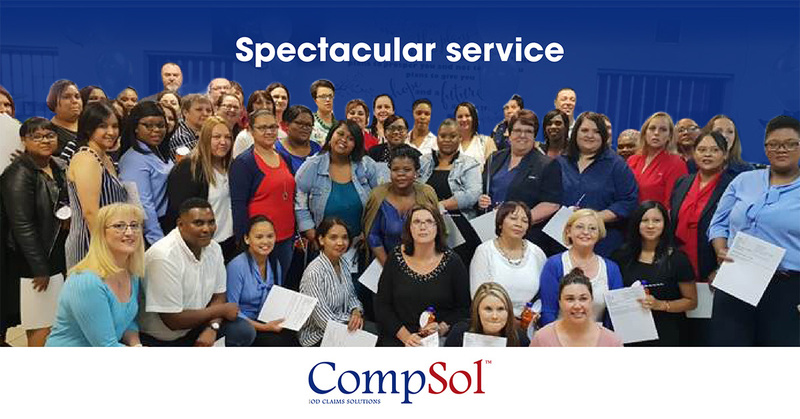 Compsol bases their performance on achieving positive results for workmen’s compensation claims, helping medical service provider, employers and employees. What is particularly gratifying is the way that Compsol goes about achieving results, evidenced by over 100 letters of appreciation from their clients. Charl quips that the Compsol staff must be very fit and healthy to continue walking the extra mile every single day.